Five years ago, heavily armed pro-Russian fighters in green uniforms without insignia took control of Ukraine’s Crimean Peninsula. 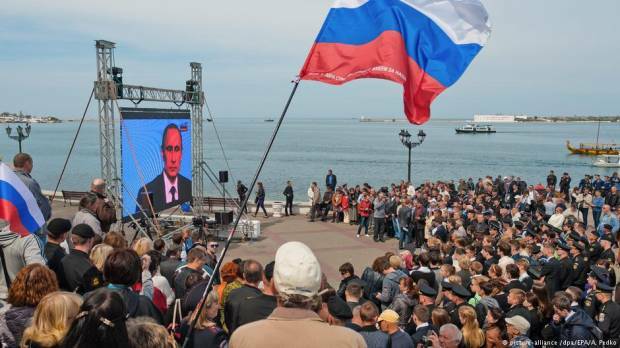 Several weeks later, on March 16, 2014, Russia’s government held a highly controversial referendum asking the local population whether it wanted Crimea to become part of Russia or remain in Ukraine. Almost 97 percent of the electorate voted for Crimea to join Russia. Most countries, however, did not recognize the referendum. Two days after the vote, a treaty was signed over Crimea’s accession to Russia. Moscow refers to this as Crimea’s “reunification” with Russia, while Ukraine and many other countries dismiss this move as a violation of international law. They say Russia annexed the peninsula. Next post BTS's Jimin, V, & Ha Sung Woon top individual boy group member brand values in March!